In November 23, the fire drill of the second half of 2018 was held in Bantian Factory of our company in order to better and more effectively ensure the personal and property safety of employees and improve their self-help ability in fire accidents. The fire drill officially began at 3:30 p.m. When the fire alarm went off, all the staff immediately evacuated to the basketball court under the guidance of staff through specified fire escapes. At the same time, firemen rushed to the accident scene for extinguishment at the simulated ignition points. 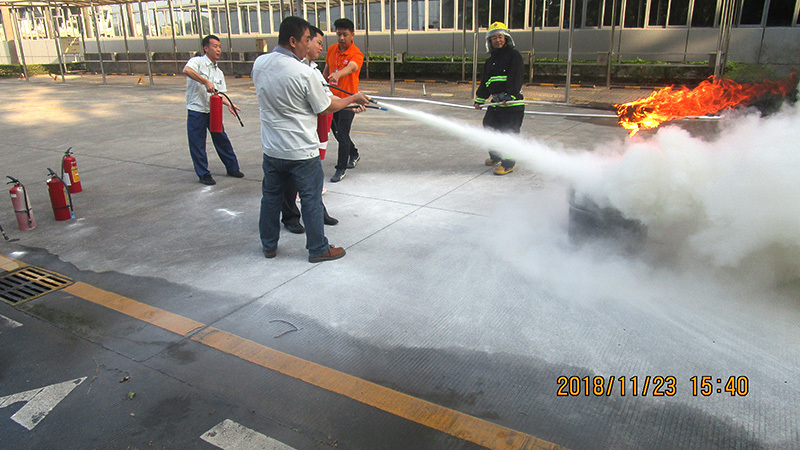 In order to make employees get familiar with and master the use of fire-fighting equipment, the security team of Bantian Factory explained and demonstrated the specific operations of the fire extinguisher, fire hose and fire fighting squirt on site. In order to put the knowledge into practice, the employees took turns to carry out practical operations under the guidance of firefighters. 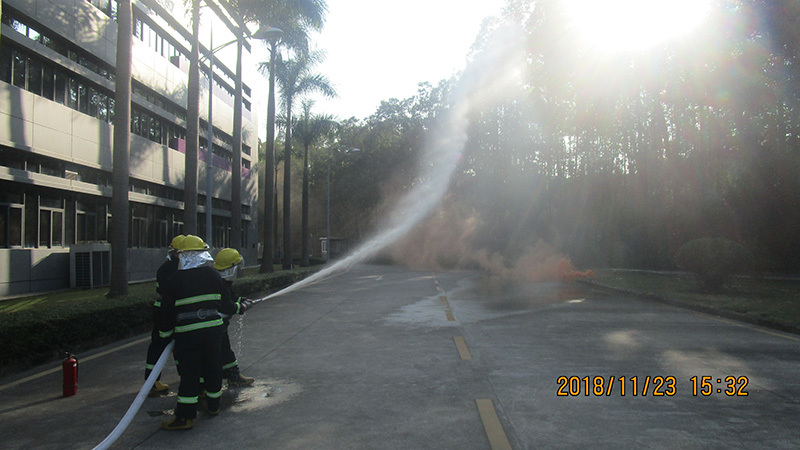 During the drill, the staff on site handled the fire quickly, operated regularly and extinguished the fire effectively, so that the drilling effects were achieved. 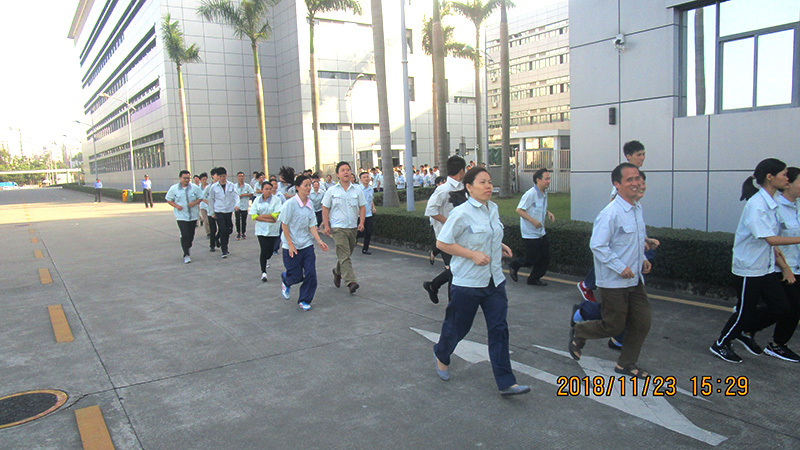 In this fire drill, the employees in our company cooperated and participated actively, mastered the basic knowledge of fire fighting and elementary fire fighting methods, further enhanced the safety awareness, and improved their ability of evacuation and response to emergencies such as sudden fires. In the future, the company will further strengthen the publicity of relevant knowledge to reduce and further eliminate potential safety hazard of fire, thus build a safe and harmonious park.